Casino Barmy (“us,” or “we”) respects the privacy of users of our website and its related services. Casino Barmy reserves the right to make changes to this Policy at any time, and will post any revised Policy on this page. You will know we have changed the Policy when you see a new updated date at the top of this Policy. Casino Barmy will not notify the Services’ users of any such changes by email or other personal contact. We encourage you to check the date of this Policy whenever you visit the Services so that you will know when you need to review the Policy for modifications. Casino Barmy does not intend to use the Services to collect any information from children under age 18. By submitting any information through the Services, you represent and warrant that you are older than age 18. Casino Barmy may collect and store any information you submit or upload through the Services, whether through your submission of information through a form, purchase of a product, or otherwise. This information may include, but is not limited to, your name, address, email address, telephone number, payment information, or any other information submitted by you or any user through the Services. Casino Barmy may collect information about you from third-parties, including from any account through which you log into, or otherwise interact with, Casino Barmy (e.g., Facebook or Google). If applicable, Casino Barmy may have access to certain information from your linked Google or Facebook account, including your public profile information, your email address, or other information possessed by those third-parties. 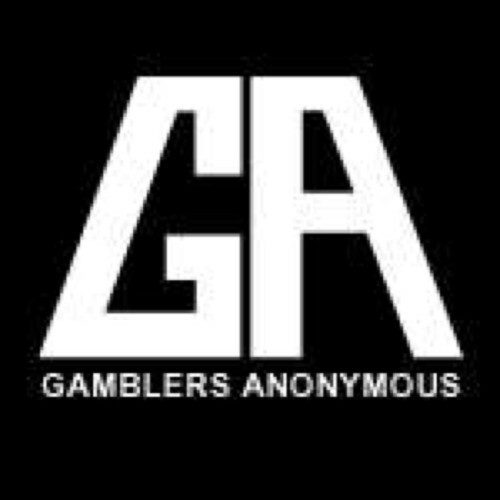 Casino Barmy may aggregate any information about you collected from any source. Casino Barmy may also collect passive information about your device, visit, or use of the Services, including, but not limited to, the date and time of your visit, the length of your visit, the specific webpages you visited, your IP address, the type of web browser and operating system used, the address of any website that directed you to the Services, and information about your mobile device used to access the Services (including phone number, operating system details, and any applicable unique identifiers for you or your device, including your devices’ Unique Device Identifier (UDID), any Apple or iOS identifiers (e.g., IDFA or an Advertising Identifier), any Google or Android identifiers (e.g., Android or Google Advertising ID), any Windows identifiers (e.g., Windows Advertising ID), or any other similar identifiers which identify you or your device). Casino Barmy may collect and aggregate usage information related to your use of the Services. Casino Barmy may, from time to time, use one or more analytics service providers, including, for example, Google or Facebook. Casino Barmy may use the following Google analytics features: AdWords, Remarketing, Google Display Network Impression Reporting, DoubleClick, and Google Analytics Demographics and Interest Reporting. We may combine information gathered from one or more of these services. For more information about the Google analytics features used by Casino Barmy, if applicable, click here (https://support.google.com/analytics/answer/2404395?hl=en&ref_topic=1631776&rd=1). For information on the use of the Google Analytics Opt-Out Browser Add-On, click here (https://tools.google.com/dlpage/gaoptout/). However, Casino Barmy does not necessarily endorse this add-on and does not guarantee that using the add-on will be effective. For more information on how Facebook Analytics may collect and use the information collected through Casino Barmy’s use of the Facebook’s analytics and advertising services, if applicable, see the Facebook data use policy and related policies here. (https://www.facebook.com/full_data_use_policy). Casino Barmy does not guarantee that it will take action in response to do-not-track signals or similar mechanisms. Additionally, some third-party service providers may still collect tracking information even if you have enabled your browser’s do-not-track functionality or utilized a similar do-not-track mechanism. Casino Barmy may use the collected information or data described above, individually or in the aggregate, for any lawful purpose, including, but not limited to, such purposes as connecting sellers, affiliates, and customers, analyzing and tracking user activity on the Services for individual users or for groups of users, tracking and analyzing usage trends, personalizing the Services to better reflect your preferences, serving more relevant advertisements, or enhancing your and other users’ use of the Services. All collected information may be linked to specific website users and may result in the tracking of the usage information for individual users. Casino Barmy may also use your submitted information to contact you, via regular mail, email, text message, telephone, or otherwise, regarding your account, the Services, your purchased services or products, or other relevant or promotional information or offers as determined by Casino Barmy or its partners. By submitting your contact information to Casino Barmy or Casino Barmy’ partners, you consent to receiving such communications. Except for the limitations expressly discussed herein, if any, Casino Barmy may disclose, sell, or transfer any collected information to third-parties for any lawful purpose in our sole discretion. Casino Barmy may disclose any collected information about a customer to all sellers whose products or services the customer purchases and to any affiliates through whom the customer is linked to the seller. 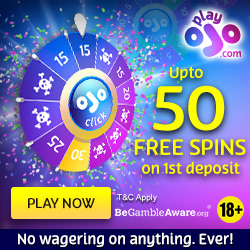 Casino Barmy may disclose any collected information about an affiliate to all sellers whose products or services the affiliate advertises and to any customers that were linked to a seller through the affiliate. Casino Barmy may disclose any collected information about a seller to any affiliates and to any customers who purchase the seller’s products or services. The disclosed information about a customer, affiliate, or seller include, but are not limited to, the person’s name, user name, contact information, and information related to any transactions between those persons. If you log in to Casino Barmy through a third-party service like Facebook or Google, then those third-parties may have access to certain information about your use of Casino Barmy. For more information on the type of information those third-parties may collect about you, please review the privacy policies for those third-parties. Casino Barmy may use third-party companies, agents, or contractors to perform services on our behalf. For example, Casino Barmy may partner with other companies to personalize our web pages, analyze our website or usage information, process payments or credit card transactions, fulfill or ship orders, collect debts, analyze or enhance the data collected by the Services (including user’s interaction with the Services), or otherwise assist Casino Barmy in better serving the Services’ users. During the course of providing Casino Barmy with these services, these third-parties may have access to your personal and non-personal information in order to provide the services we requested from those third-parties. Casino Barmy may disclose your collected information, including information about any purchases you make through the Services, to Casino Barmy’ affiliated entities. Casino Barmy may also disclose your information to third-parties for marketing purposes. These affiliates and third-parties may contact you via any method of contact you provide to Casino Barmy. Casino Barmy also reserves the right to disclose personal information when we reasonably believe disclosure is required by law, if we reasonably believe disclosure is necessary to establish or exercise legal rights, or in situations involving potential threats to physical safety. In the event that Casino Barmy is acquired by or merged with a third-party, we reserve the right to sell or otherwise transfer any and all information we have collected from you as part of that transaction and such third-party will assume the rights and obligations with respect to that information as described in this Policy. You have the right to use our Site without consenting to marketing and communication services that we provide. We will inform you (before collecting your data) if we intend to use your data for such purposes or if we intend to disclose your information to any third party for such purposes. We always use the most recently submitted form to be your current consent status. If you are a registered user, but not signed in when you submit a form, we will not be able to use your saved settings so will deem your consent choice to be as per the form you submit at the time. You can exercise your right to prevent such processing by ticking certain boxes on the forms we use to collect your data. You can also exercise the right at any time by contacting us at admin@casinobarmy.com. The Services may contain links to websites not owned or controlled by Casino Barmy. Casino Barmy does not necessarily review or endorse the content of these linked websites. You should review the terms of service and privacy policies of all websites you visit. Casino Barmy may retain the personal and non-personal information or other collected data, individually or in the aggregate, as described above, after you delete your account or have ceased using the Services. However, Casino Barmy does not guarantee that any information will continue to be available after such deletion or cessation. You are responsible for updating and maintaining the accuracy of your personal information that you provide to or through the Services. If you believe you have submitted inaccurate information through the Services, and would like Casino Barmy to change such information, please contact Casino Barmy at the address below.